THIS PRIVATE, PEACEFUL PARADISE IS AWAITING ITS NEXT GENERATION OF MEMORIES! 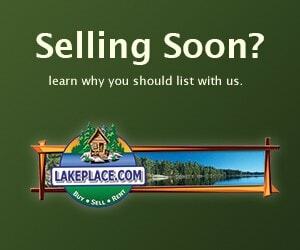 LOCATED ON THE PRIVATE, DALZELL LAKE, THIS SMALL LAKE WILL BE VOID OF LOUD MOTORS AND ROUGH WATER! INSIDE THE 1 BED MAIN CABIN IS A LARGE LIVING AREA WITH A VINTAGE, FIELD STONE FIREPLACE IN BOTH THE LIVING ROOM AS WELL AS THE DINING ROOM! AS YOU MAKE YOUR WAY INTO THE KITCHEN YOU WILL FIND PLENTY OF SPACE TO WHIP UP A NICE DINNER FOR BOTH YOU AND YOUR GUESTS STAYING IN THE 2ND, 2 BEDROOM CABIN. BUT DON'T WORRY, THE SECOND CABIN HAS A KITCHEN OF ITS OWN SO THE GRANDKIDS CAN HAVE YOU OVER FOR BREAKFAST THE NEXT MORNING!! ALONG WITH THESE NOSTALGIC CABINS COMES A STORAGE BUILDING TO PUT ALL OF THE LAKE TOYS IN PLUS A SHED AND EVEN AN OLD CAMPER FOR WHEN THE KIDS ARE OLD ENOUGH TO STAY ON THEIR OWN!! FOR THE FAMILY LOOKING FOR THE CLICHE, UP NORTH GETAWAY, THIS IS A GREAT DEAL! !